Iron deficiency is a very common health problem. In fact, it’s the world’s most common nutritional deficiency. If you often feel tired for no apparent reason, maybe you have a shortage of iron in your system. When you’re not getting enough iron from the food you eat, you’ll be wanting to find the best iron supplement for anemia. More about that below. Where can nutritional iron be found? Did you know that iron is the 4th most abundant element on Earth? Metalworkers have been using it since ancient times. As important as iron still is in industry today, it’s in your body where it plays the most crucial role. Your red blood cells contain a protein called hemoglobin. This protein carries oxygen from your lungs to every cell in your body. There it releases the oxygen to provide energy for the process of metabolism. Iron is crucial for your metabolism to function properly at cellular level. It can be a result of insufficient iron in one’s diet. Small amounts of iron can also be lost through normal excretion. However, loss of blood causes much greater iron losses, including menstruation. Low levels of hemoglobin in red blood cells or a low red blood cell count is referred to as anemia. Of the several different types of anemia, the most common is iron-deficiency anemia. This is a serious condition that can cause complications in pregnancy, fatigue and impaired mental and physical development. How much iron you need depends on various factors such as your lifestyle, age and gender. Pregnant or breastfeeding women need to include more iron in their diets. If you are including plenty of iron-rich foods in your diet, you are most likely not suffering from an iron deficiency. However, there might be conditions such as pregnancy or absorption problems where a good iron supplement could be the key to restoring healthy iron levels. Look for natural supplements; avoid the synthetic variety. Synthetic versions do not have the co-nutrients that are necessary for proper absorption of nutrients from your food. Also, liquid iron supplements can sometimes stain the teeth. Go for pills or capsules instead. Suggested dosage is one capsule daily with food. 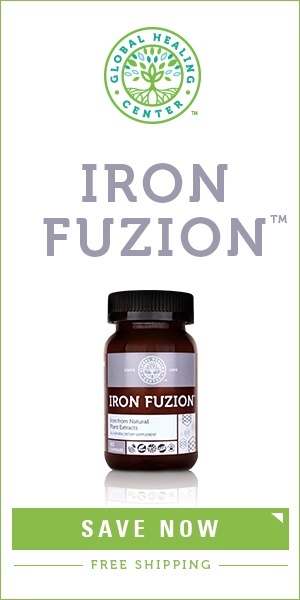 Iron Fuzion contains no artificial ingredients, additives, fillers or coloring. It’s gluten-free, vegan and vegetarian-safe. It’s gentle and easy on the stomach. It promotes healthy brain function and mental clarity, better sleep and a healthy immune system. And who wouldn’t enjoy feeling more energetic? Anemia is a real problem and I think you have found some real solutions.